Seeking a second opinion makes sense. It makes sense for the patient, who gains added peace of mind about his or her diagnosis. It makes sense for the treating physician, who welcomes the chance to consult with colleagues and confirm the diagnosis of a serious illness. Finally, it makes sense for specialists from the leading Canadian University Health Centres, who have a long tradition of reviewing cases and giving opinions based on their expertise in specialized fields of medicine. 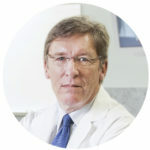 Dr. Churchill-Smith is the Medical Director of Medical Second Opinion He also is the President and Chief Executive Officer of MMI, a director of its parent and sole shareholder, Optimal Health Care Foundation, a Senior Physician at the McGill University Health Centre, and Associate Professor of Medicine at McGill University. For the past 25 years, Dr. Churchill-Smith has been the Medical Director of Skyservice Aviation Inc. and the Academic Director of the Aviation Medicine Program at McGill University—one of Canada’s most successful air medical organizations – that has now completed more than 20,000 missions.